The African Water Association (AAE) conference dubbed “Water and Sanitation in Africa: Challenges and Prospects” has been running for the past 3 days now. 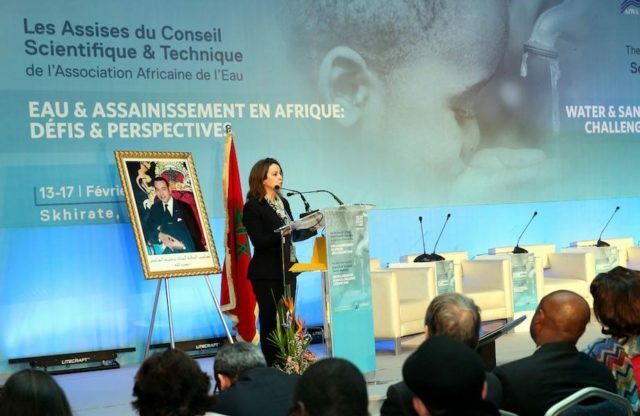 The conference which was initiated by the Moroccan office of Electricity and drinking water (ONEE) provide a platform for the discussion of challenges facing the African content. One of the issues on the forefront for consideration is the access to drinking water and sanitation. This is because only a worrying 30% of the continental population has access to these resources. Other themes are prospects for improving access to these basic necessities that are essential for the sustainable development of the continent. Mr. Ali Fassi Fihri, ONEE’s General Director acknowledged that the African Water Summit as one of the first inter-African meetings following Morocco’s return to the African Union (AU), this also confirms the country’s commitment to strengthening cooperation in the South particularly in areas where Morocco’s experience is established. In the ceremony, it was stressed that drinking water and proper sanitation are some of the most vital public services required for a decent and healthy life, in as much as the implementation needs major financing. According to Fihri, the sanitation program is planning to reach 140 wastewater treatment plans by 2020 for a cost of US$2.44bn. Consequently, the office plans to take action to improve water yields from 95.4% in 2016 to 96% in 2020. Moreover, the program is looking to achieve a higher purification capacity by using eco friendly sources in the case of liquid sanitation. The African Water Association is made up of a network of 100 member companies located throughout Africa. It has situated itself as an essential institution for the improvement of the performance of water and hygiene companies in Africa. The AAE also contributes to the influence of sector-based policies in Africa and accompanies its members to achieve the goals set by the international community regarding people’s access to drinking water and sanitation services.